Rachel is a midwife, infant feeding consultant, active birth teacher and parenting consultant. Based in Berkshire, near London, she has appeared on numerous radio programmes, talking about various issues from infant feeding to smacking to humanist parenting. She co-created Henley Birthcare, a unique freelance midwifery and doula service offering bespoke care. She teaches other midwives and peer supporters and lectures at hospitals and conferences on infant feeding and tongue-tie. She is the midwife specialist for EDS UK, a genetic connective tissue disorder. Through Henley Birthcare she lectures to Midwifery students at Oxford Brookes University in the first private/NHS partnership of its kind. 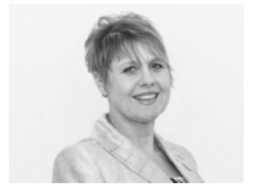 Mother to four sons of her own, Rachel's knowledge is grounded in 30 years' experience as a midwife and extensive research. Always more interested in the parent-baby relationship than in “catching” babies, she brings her knowledge of evolutionary biology to her approach to feeding, soothing and parenting babies. Her ethos combines gentle parenting techniques with the practical/scientific knowledge of a baby’s instinctive reflexes in the ‘fourth trimester’ and beyond. 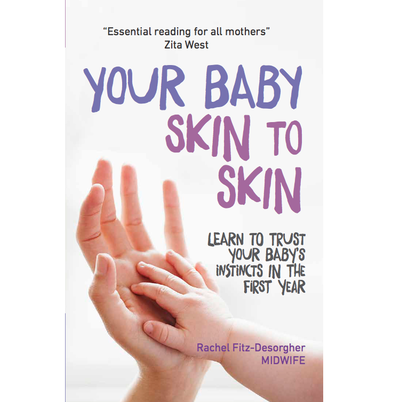 Rachel's first book, YOUR BABY SKIN TO SKIN: LEARN TO TRUST YOUR BABY'S INSTINCTS IN THE FIRST YEAR, was published by White Ladder in April 2017.